When Fashion’s Night Out was put on hiatus last year (apparently it wasn’t generating enough revenue…maybe it was all the free champagne I drank while wandering into stores I’d never heard of before…), I was definitely a bit bummed, because while I don’t need to have the latest trends and fashions, I really like to know what’s in each season. 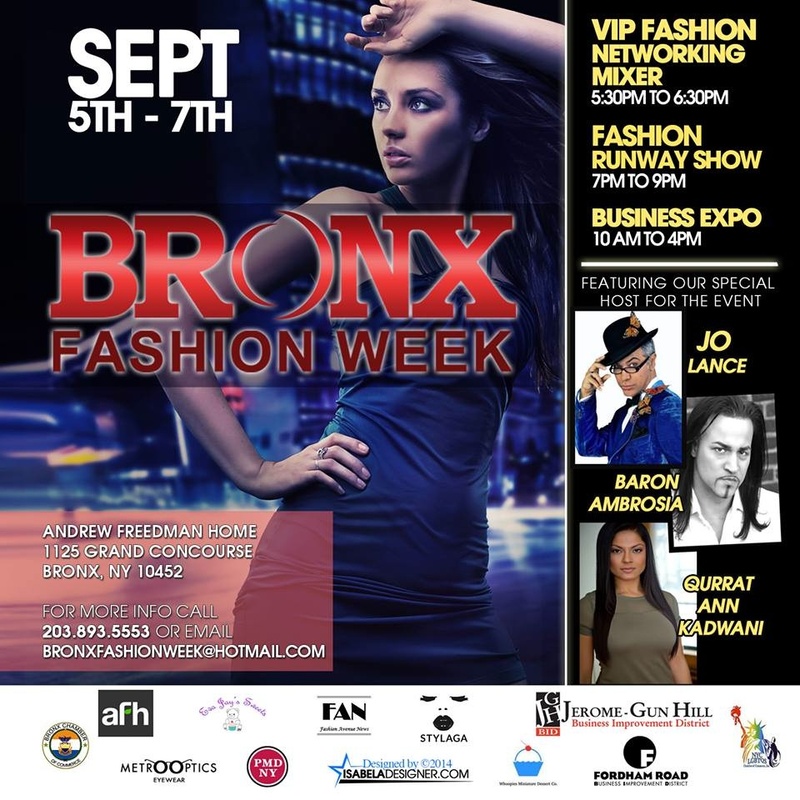 This is why Bronx Fashion Week couldn’t have come any sooner. I need a fashion fix! This week, starting Friday, September 5, audiences will be treated to runway shows, networking opportunities, and even a skateboard competition. Bonus – it’s being held at one of my absolute favorite places in the Bronx, the Andrew Freedman Home! Needless to say, this event is huge for us and a first for our borough. It spans three days so you have multiple opportunities to check it out. For tickets, click here. Interested in bringing a friend and saving some cash? Check out the Groupon deal here. P.S. Okay, I will not actually be on the runway, unless I happen to get lost. But I will be there and if you can’t make it, make sure you’re following me on Instagram to stay up to date with all of the events!